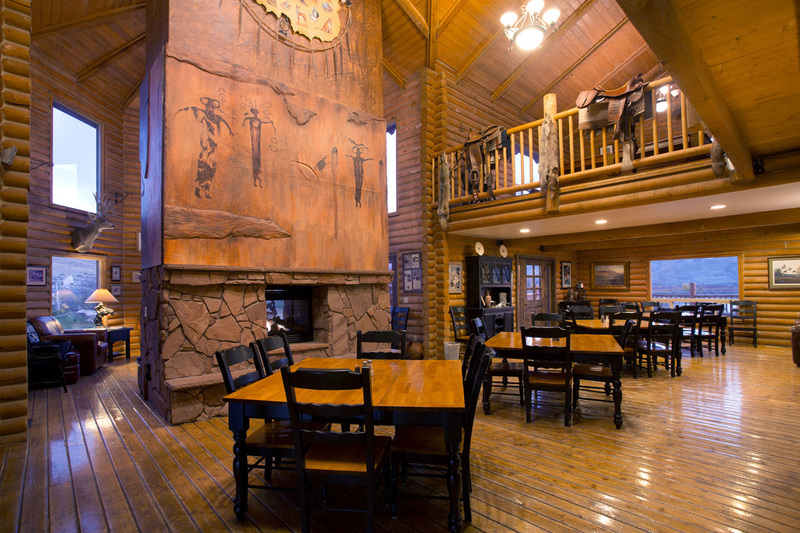 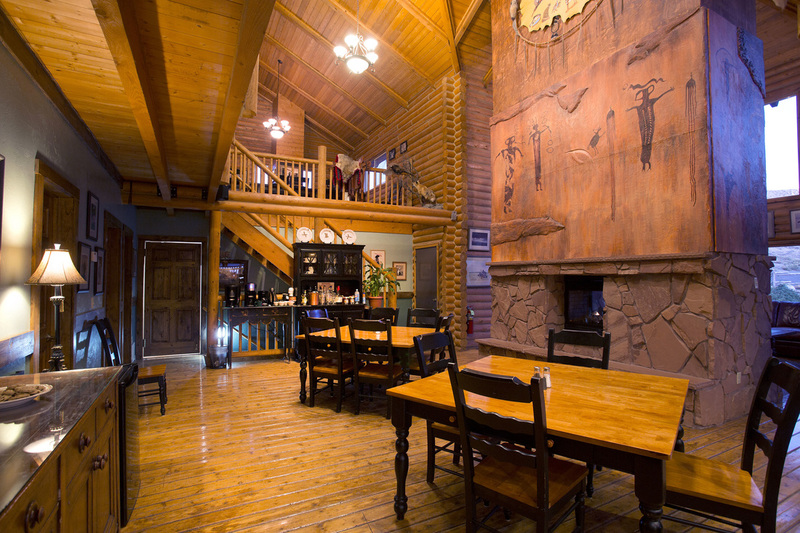 Guests can relax by the Lodge's stone fireplace in comfortable leather couches and chairs while admiring reproductions of petroglyphs from some of the local ancient cultures illustrated on the walls. 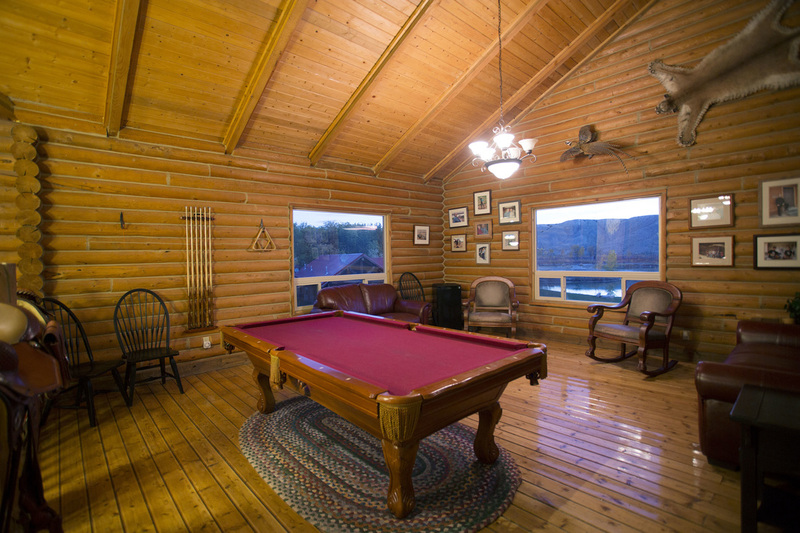 Some find themselves drawn to the activity room located on the second level of the lodge where you can enjoy a drink while participating in a round of billiards or other games. 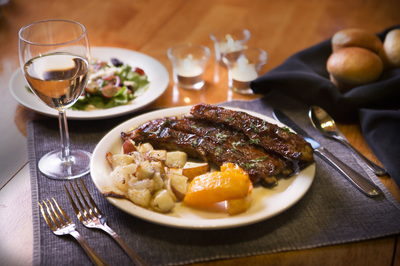 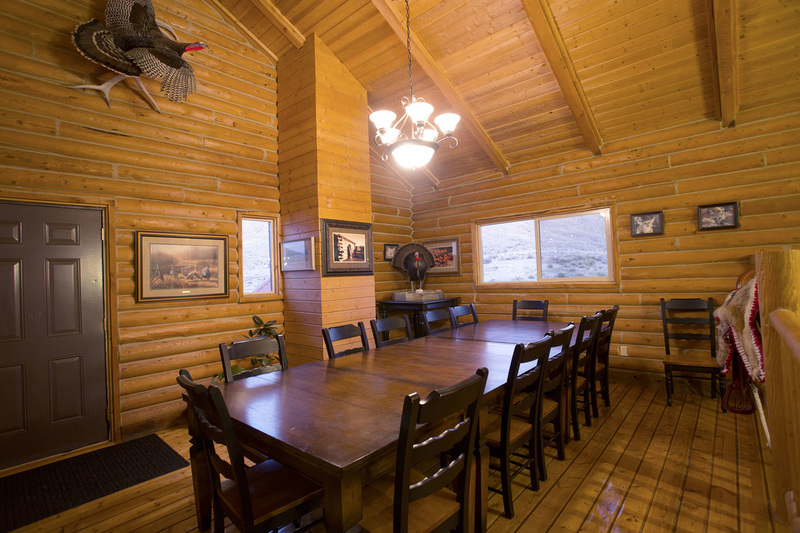 Enjoy a home cooked meal in the dining room while you recount the days' adventures. 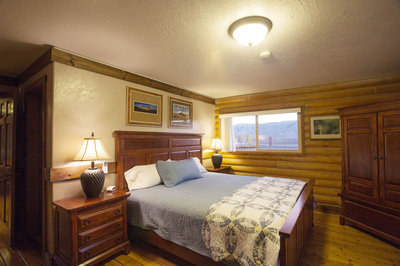 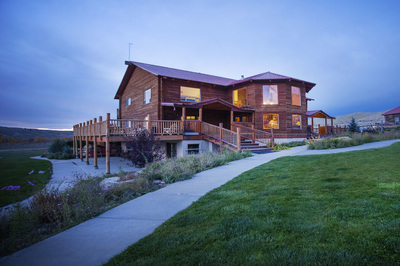 With views of the colorful rock cliffs through oversized picture windows, you gaze out over a well stocked fishing pond and open fields where you might spot an occasional mule deer or pheasant or turkey in the morning hours as a bald eagle circles above with outstretched wings riding the currents of the wind. 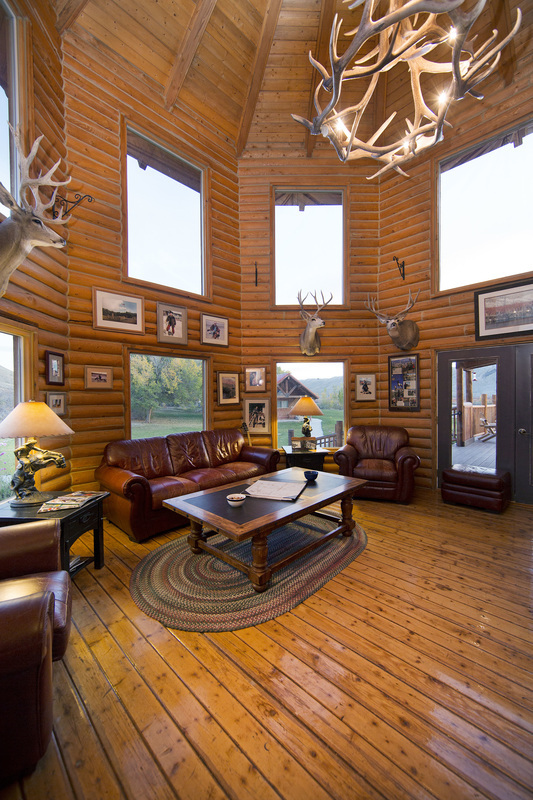 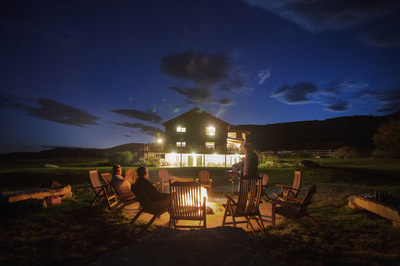 Because Castle Valley Outdoors is one of only a handful of Orvis-Endorsed Wingshooting Lodges across the country, your all-inclusive vacation is sure to provide a rewarding experience.